Malaysia Open Source Conference 2013 (MOSC) hosts in Kuala Lumpur on September 10-11, I am invited to be a speaker, it is over two hundred participants attended. I presented how did I start my open source weather data project – hk0weather to produce machine readable open data with web scraping. And I also gave a lightning talk to introduce deployment projects of One Laptop Per Child (OLPC) in Asia Pacific and invite audiences to attend OLPC BaseCamp in Malaysia in November. At MOSC 2013, I met Joomla developer Sam, and Malaysia Mozilla community leader. And some participants talked with me during lunch after my presentation to follow up their questions. As they promised to provide travel and accommodation sponsorship (and amount of cancellation charge of my flight for the postponement of their conference) before I accepted the speaker invitation, and paid in cash when I arrived in KL. But they didn’t pay before my departure, and busy on conference is their excuse, but they still didn’t pay for it and delay the payment with different excuses. I hopes they will settle it as soon as possible. 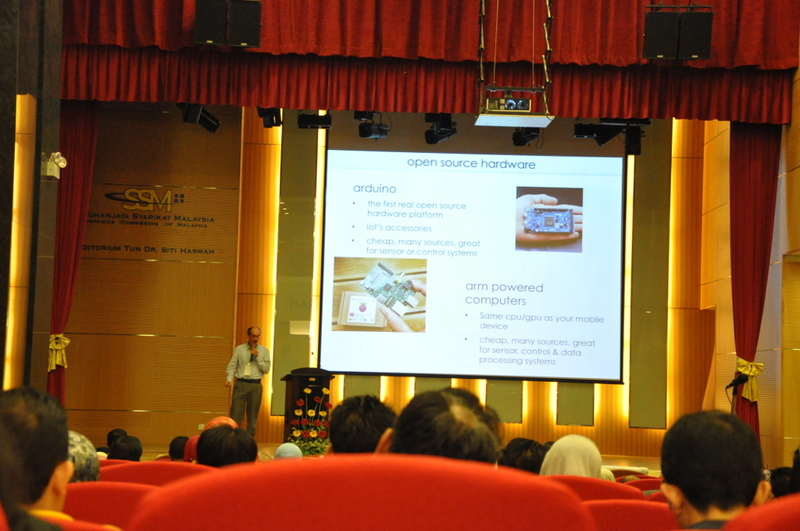 This entry was posted in Open Source and tagged kualalumpur by Sammy Fung. Bookmark the permalink.